For Easter, I decided to take on a craft project from Martha Stewart that seemed kind of manly. 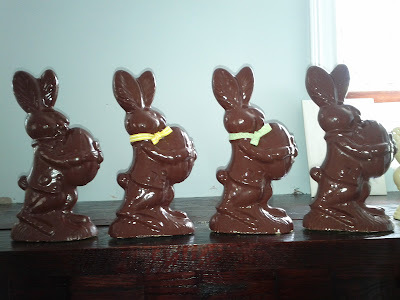 I chose to make these Faux Chocolate Easter Bunnies. I ended up making four of them: three as gifts and one to keep for ourselves. 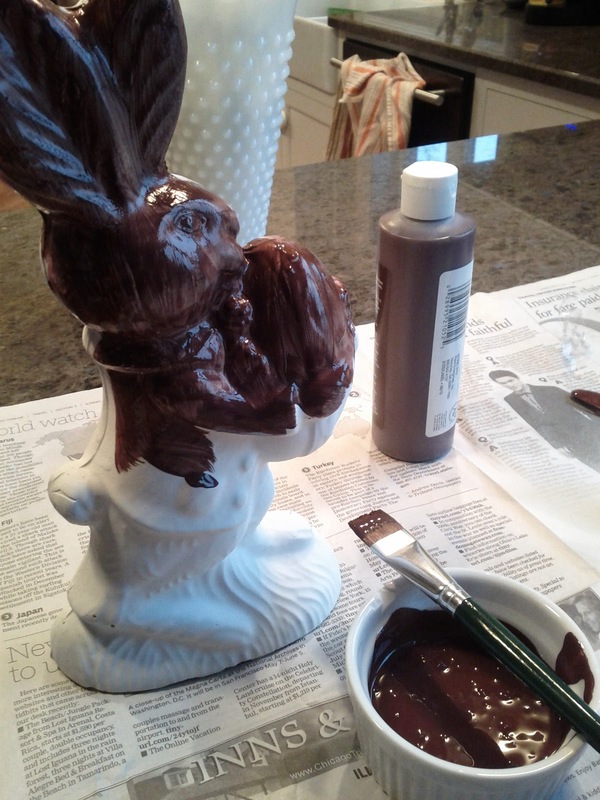 I believe Ms. Martha herself makes different chocolate bunnies each year, so perhaps this will become a tradition. I suppose I'm only limited by the number of molds I can find. 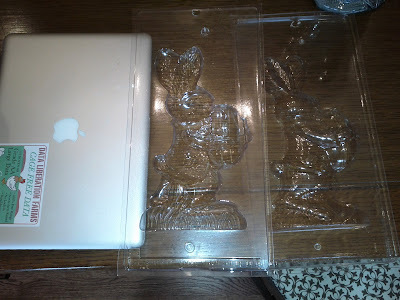 This year, I bought a mold at KHL Molds - per Martha's recommendation. 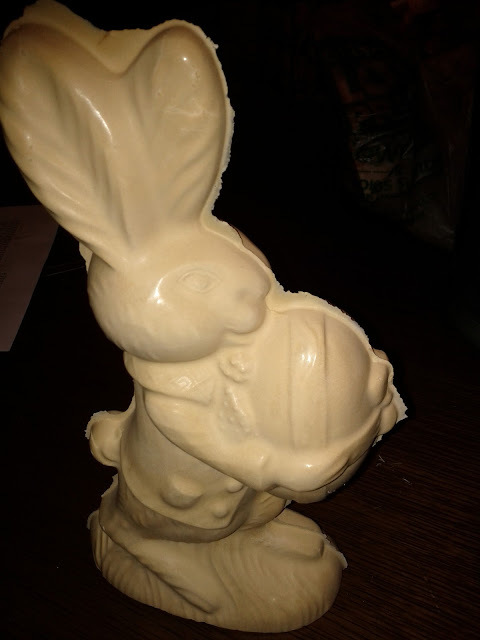 My mold (below) came in two pieces and I chose it because it was pretty tall. 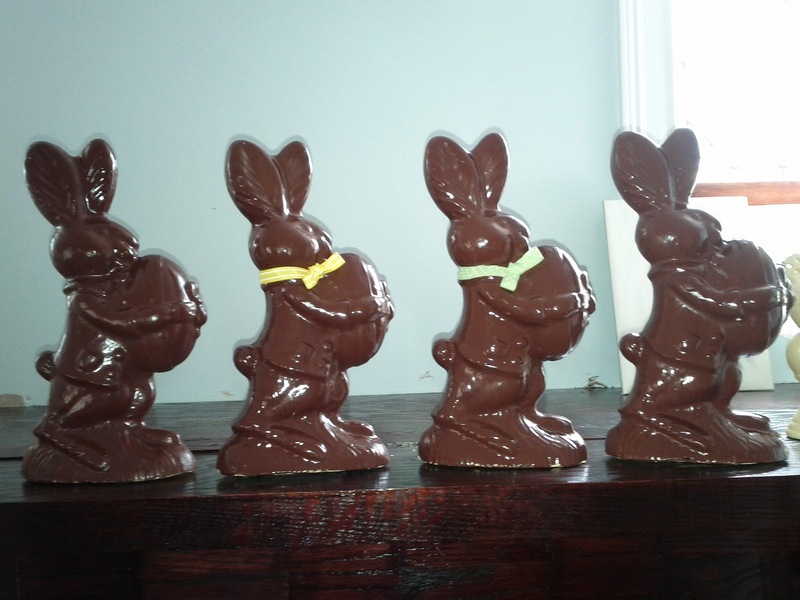 I wanted bunnies that were substantial. Here's the mold compared to my MacBook Pro. 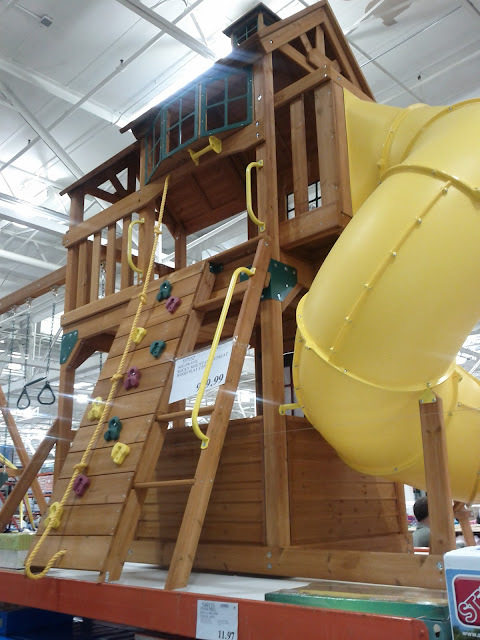 Like I said, it isn't small. 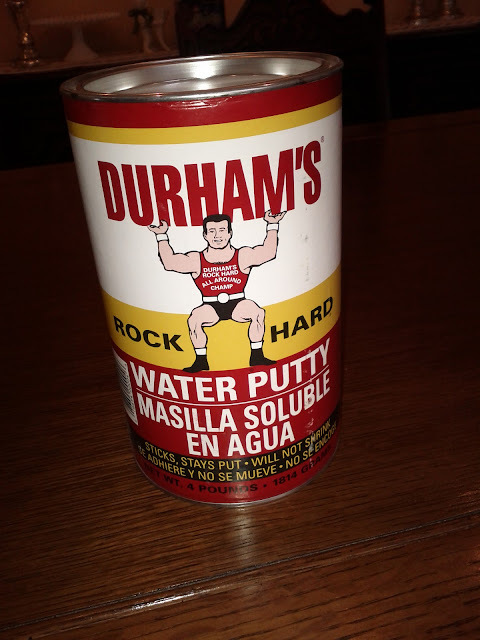 To make the statues, you use Durham's Water Putty. Just follow the directions on the can. If your mold is the same size as mine, it'll take 3/4 of a can to do just one. Next, clip the two halves of the mold together with binder clips. Cut the bottom out of the mold, if necessary, to allow pouring of putty mixture. I had to do this to get the putty inside the mold. Set the mold upside down in a bucket to keep it upright; clip the mold to the side of the bucket with clothespins to hold it steady. 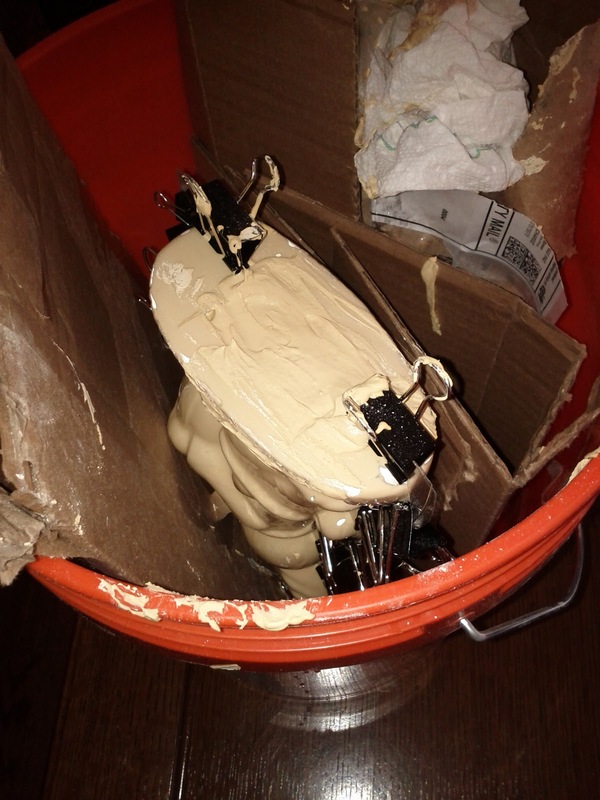 I used cardboard in the bucket (below) to steady the mold. You have to use a stick and I "flicked" the sides of the mold to settle the putty into each crevice. Grab your Dremel and take the seam down as best as you can. 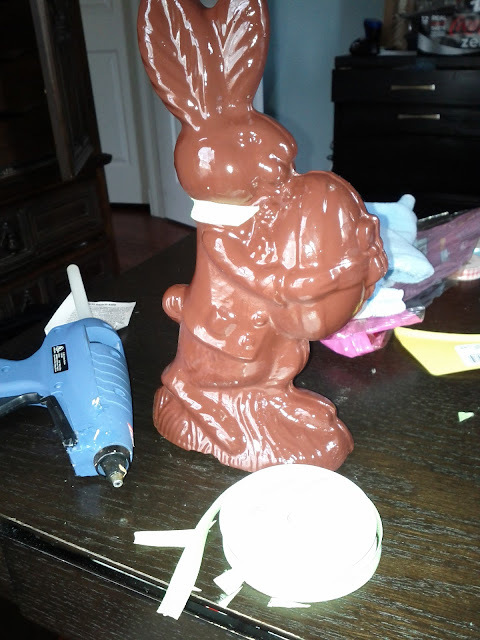 I figured that *real* chocolate bunnies actually have a seam on them, so I didn't sweat the seam too much. I got rid of most of it, but it wasn't perfectly smooth. 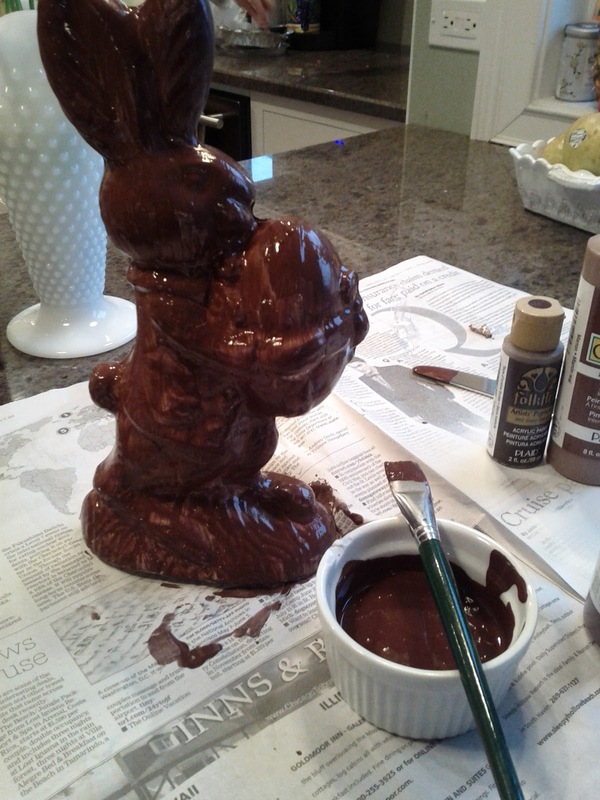 Then, I let it fully dry for a day or two which made the water putty lighten up a bit. After that, I put on a coat of white primer. I used spray primer, but you could brush it on if you want. After that, it is time to color. 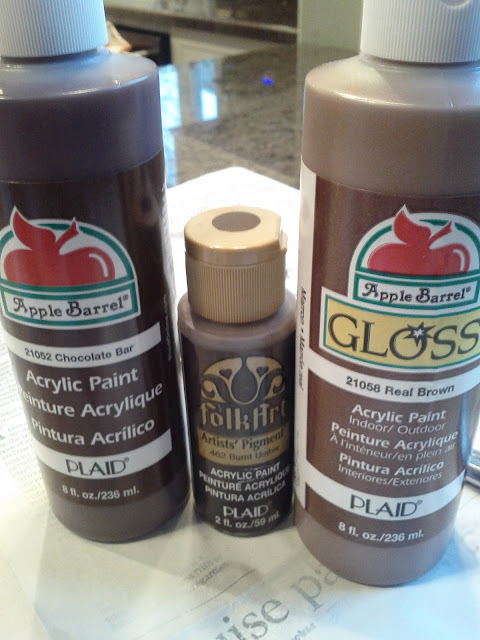 To get a true chocolate color, I picked three different paint colors and combined them. I tried the color called Chocolate Bar, but it wasn't perfect on it's own. Mixing the paint in a little ramekin was a breeze and I started putting on coats. The primer helped, but it still took like five total coats. Once done, I sprayed it with a shiny coat (I forgot to take a photo of that!) and then it was time to adorn them. I went with the ribbon collar look. Two pieces. 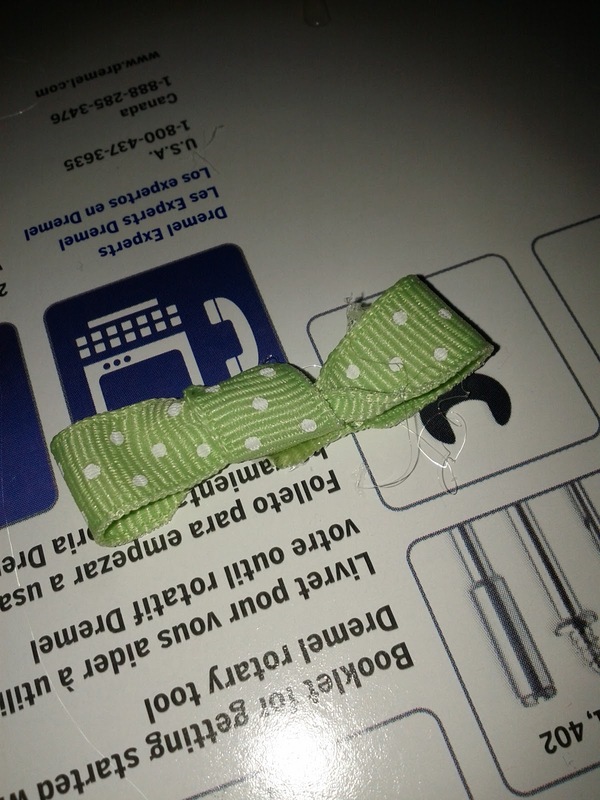 First, the ribbon around the collar. Then I made separate bows and hot glued them on. I think they turned out pretty great and I'm already thinking about making a different style next year for Easter! I think "kind of" in your "kind of manly" is sorta pushing it. 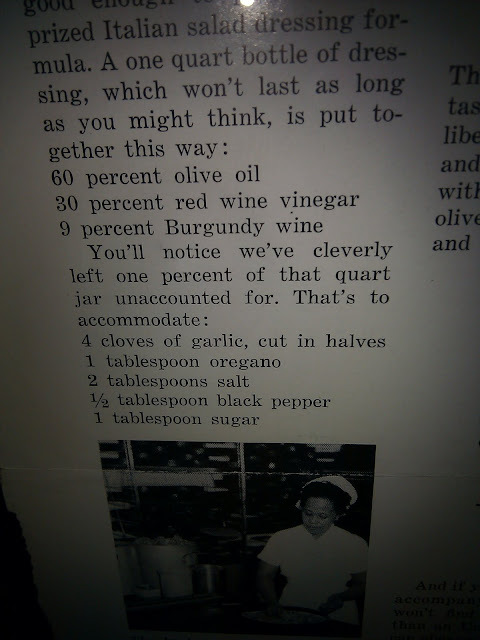 I'd suggest "maybe possibly a touch". Well...the glue gun and ribbon are girly, but the wood putty is ALL MAN! 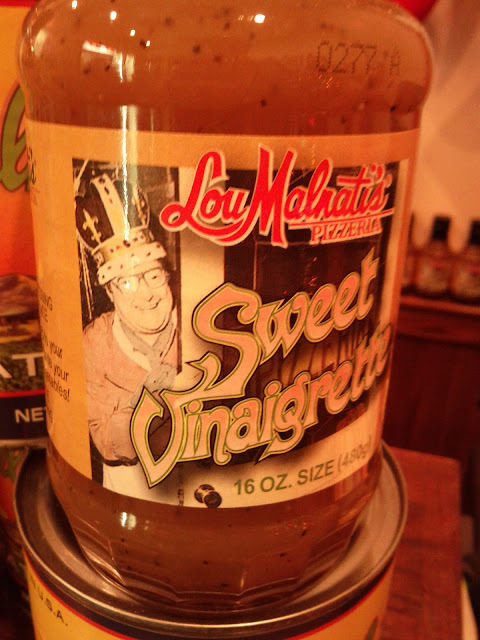 Look at that can with the strongman!